The new place is settling in quite nicely. Looking really nice actually. Bren is very pleased with how homey it’s looking. We can’t wait to have folks over. Next month when things are calmer, we promise. The dates and times are on my website. www.theonlynikki.com under “performance calendar”. Now, to leave you with this. 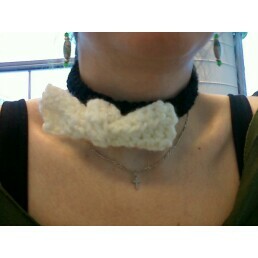 My newest crochet pattern find that I can tell is a new favorite. I’ll be making lots of these little guys. They’re super easy and QUICK to make. And just impossibly adorable.